A full report on the status of our trails and a live glimpse of our snow. A simple map, a larger one to download for offline consultation, and a fully interactive trail map for digging deeper. The Northern part of our trail system, known as the Tanney Loop, offers skate and classic skiing throughout with wider trails, more sun and often more snow. Loved by many, the Laderach Loop offers a pure classic skiing experience that is very traditional. The trails here are narrower providing a more natural feeling, while making the vistas seem up close and personal, and the junctions never far away. 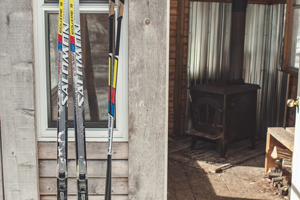 Near to the WOODfine Chalet, there are many secret and not-so-secret areas to explore — the Peanut, Butter and Jam trails, the toboggan hill and terrain park, Shake, Rattle and Roll, the Sugar Shack and Olympic trails, High Road and 'The Hills' and our lit loop for night skiing. 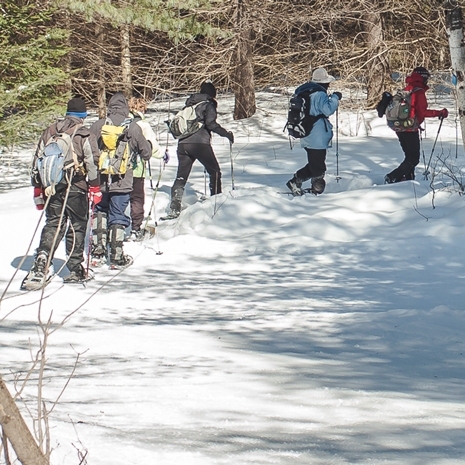 Specifically designed to pass by many picturesque features of the Kawartha Nordic landscape, these 3 stacked loop trails should not be missed. Please be advised that the Uplands trail out to Laderach cabin can take quite a few hours more to traverse than it may seem from looking at the map. Created in 2016-2017 is a shorter Heartlands loop trail of 3 km. 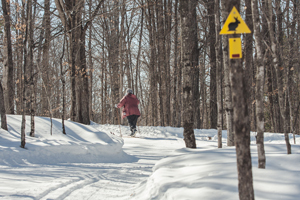 View the snowshoe trail map to plan your route and view segment distances. Note there are no dogs or fat bikes permitted on the trails. 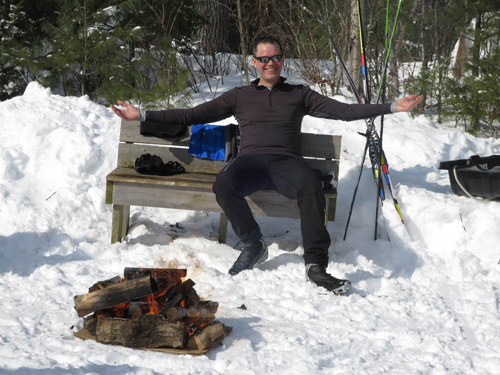 There is no walking or snowshoeing permitted on the ski trails, so as to preserve the grooming and conditions for skiers.